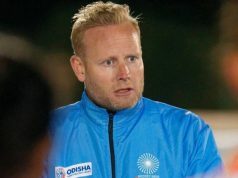 Neil Hawgood has been there for a while now and seen the development of Indian Women Hockey from close ranks. An ex- Australian Hockey player, who represented his country to win a World Cup in 1986 and a bronze at 1990 World Cup. He’s been associated with Indian Women’s team during 2012-2014 and now brought in as a catalyst on their road to Rio Olympic Summer Games. 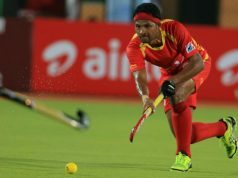 The Australian had done well during his earlier stint with the team, guiding them to victory at the Hockey World League Round Two and a silver medal at the Asian Champions Trophy in 2013. They bagged a bronze at the Asian Games the next year and finished fifth at the 2014 Commonwealth Games in Glasgow. He spoke to us about the preparation of Indian team for the Olympic Games. I think when you are going to such a big event, the biggest event that most people have probably ever been to, I think you will always have speed bumps along the way where people actually have a realisation of what it is to be going to the Olympics. I think we have sort of hit one of them. Most of our preparation are done but I think at the moment we are in a place where we’ve got to get over these bumps and put our focus back (Referring to the Test Series loss in England). Remaining focused and understanding that continued improvement is the best thing. Injury prevention is all about strength. We have got a specialized program going on for the past seven months. Three times in a week they are in the gym, trying to stop soft tissue injuries. It won’t stop all of them but it’s about avoiding the major ones. For the women it’s more about finding talent in the national championships. Bringing them together and putting them in a full time program. The difficult part is to select within the group. Selection of a national team is a four-year plan and to get people prepared for this. The team is not finalised. I think the selection will come down to performances and will come down to the last tour. How they perform under pressure and continue to stay focused. 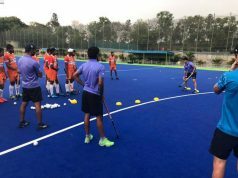 If we go by current level of preparations, what stage will Indian team reach during the Summer Games? Our hope is to reach the quarterfinal and for that to happen we want everything to go right. I think they will be the fittest and the best in this stage this country has. The next four years, we will have to scout the country again. We need to try and engage more people taking up Hockey as a career. I think we have to look at the fact that we are ranked the number 6 team in our pool. We have got number 2, 3, 5, 6, 10 and 12. So, many of them are physically ranked above us and that’s the challenge we face and need to deal with.